If you haven't read the first part of this series, start here. 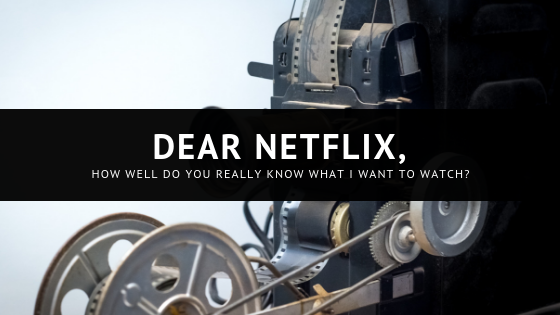 A couple of months ago, I went through all of the movies Netflix threw at me in the scifi and fantasy genres and decided to write a two-part blog series based on that list. I didn't go through my profile and mark the movies I have seen so that I could see if/where some of my favorites landed on the list. There were initially 75 suggestions, but I capped it at their top 25 for my sanity (and yours). All movie summaries are per their descriptions on Netflix, except for the ones that are no longer available to stream on the service. In those cases, descriptions are courtesy of IMBb.com. A hunt and the defunding of his laboratory prompt a geology professor to set off to Iceland in search of a portal to Earth's core. Would I Ever Watch It: After I read the book, yes. For comparison's sake, of course. Precocious orphan Lyra trades her carefree existence roaming the halls of Jordan College for an otherworldly adventure in the far North. Would I Ever Watch It: Based on the Netflix description alone, no. Probably not. Plagued by dreams of an alien invasion, a family man faces his worst nightmare when an extraterrestrial force begins exterminating Earth's inhabitants. Would I Ever Watch It: Yes. I'll blame it on having just finished The War of the Worlds for making this one sound so incredibly interesting. After nine aliens flee their home planet to find peace on Earth, their plans are shattered by pursuers who must kill them in numerical order. Would I Ever Watch It: Yes, at some point. The premise sounds intriguing. Have I Seen It: Yes. Would I Watch It Again: Probably not. I think I got my fill of rampaging dinosaurs the first time around. Would I Ever Watch It: Yes. I rather enjoy post-apocalyptic stories. Have I Seen It: No. Would I Ever Watch It: Maybe. I'm still rather scarred from the mess of Episodes 1-3 and haven't seen Episode VII yet. Would I Watch It Again: Any time, any place. I'm not a huge Batman fan usually, but this was beautifully done. Would I Watch It Again: Affirmative. This one was fun. I enjoyed seeing it in theaters and would not mind watching it again soon. Would I Watch It Again: Not sure, but that has more to do with its association with some events in my personal life that I'm just not ready to talk about than the quality of the movie or Benedict Cumberbatch's performance in it. When the menace known as the Joker emerges from his mysterious past, he wreaks havoc and chaos on the people of Gotham. The Dark Knight must accept one of the greatest psychological and physical tests of his abilities to fight injustice. Would I Watch It Again: Absolutely - without reservation. This movie was phenomenal. I loved it. Also. Heath Ledger. To save Ragnarok from a bloodthirsty goddess of death, the mighty Thor will have to battle his way to freedom and find a way back home. Would I Watch It Again: Still trying to decide. It was a lot of fun, but I think the algorithm put it up because I've been watching a lot of Arrowverse shows like The Flash and Legends of Tomorrow lately on Netflix. There wasn't much about the top twenty-five that took me by surprise. I suppose that's because Netflix has their algorithm pretty well worked out. The list I had written down originally did a fantastic job of pulling movies I would be interested in, for the most part. After I wrote down their list of recommendations (initially all 75), I did go back through and mark the ones I have seen. Because of that, the percentages next to the movies I have not seen yet were different - some drastically - when I went back to grab the descriptions for this series. What strikes me as funny is that the percentage shifts on the movies I am interested in were mostly downward, while the ones I am not so interested in mostly shifted upward. Guess that goes to show that constant tweaking does not always get it closer to being right. How do you feel about algorithms like the ones Netflix uses? Do you think they always get it right? Sound off in the comments!